Author James Patterson’s Holiday Bookstore Bonus Program provides independent bookstore employees with some extra cash around the holidays. 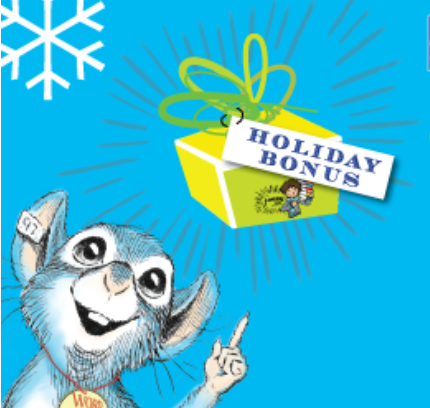 Bookseller nominations for author James Patterson’s Holiday Bookstore Bonus Program will be accepted until September 30. This year, author James Patterson will contribute $250,000 for his Holiday Bookstore Bonus Program, which will provide independent bookstore employees with a little extra holiday cash. “As a bookseller, I am overwhelmed by Mr. Patterson’s generosity towards booksellers, independent bookstores, libraries, and schools,” said Melissa Taylor of E. Shaver, Bookseller. Bookseller nominations for the program, supported by $250,000 of author James Patterson’s personal funds, will be accepted until September 30. Following the announcement of the author’s Holiday Bookstore Bonus Program, ABA CEO Oren Teicher thanked Patterson for his efforts in championing indie bookstores.